It is illegal to be in possession of a moon rock. There is an international regulation on these remarkable minerals from our moon. Certainly, it keeps the criminal element from crowding in on these very limited items. But, NASA has a remarkable display for us average citizens. Any guests to Houston can travel to the Johnson Space Center and take a tour of the grounds. Inside the main tourist center is a display of the journey to the moon. 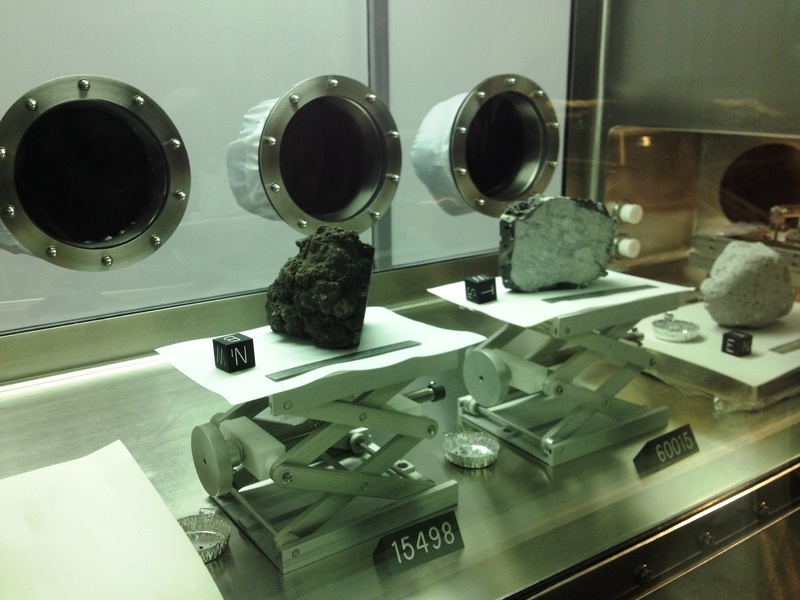 A special section is set apart for the moon rocks. Everything is tightly secure. Even the entrance vault door is impressive. Inside the safe room is a laboratory-like area. Thick glass separates the viewing area from actually quarantined space for the minerals brought back from space. Displays show how the rocks are examined and the findings of the experiments are presented for easy reading. I was alive when the American astronauts went to the moon. Like the rest of America and for much of the world, I was glued to the TV. We each followed the space engineering lessons, hung on every report and prayed for the safety of these brave men. Then, there was that moment of truth. The lunar module had landed. Neil Armstrong stepped on to the surface of the moon. 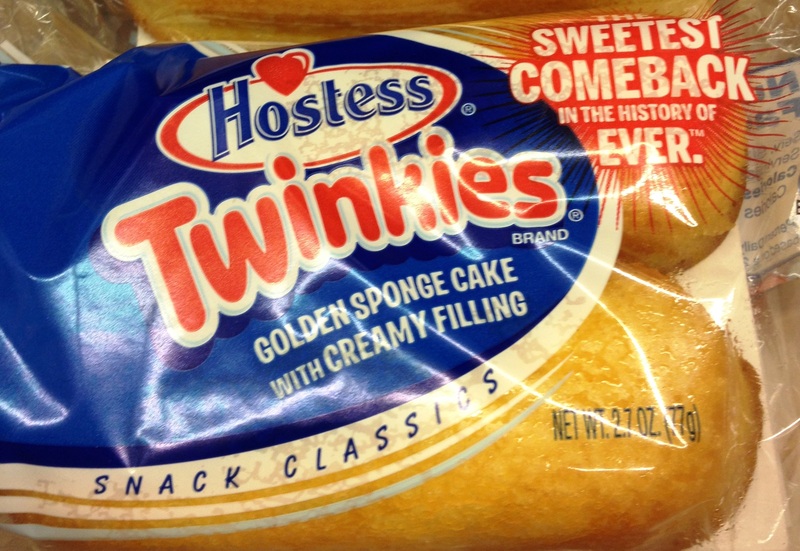 Americans wept. They were tears of pride and elation. Everyone was talking about this historic moment. The scientists and engineers did not rest. Meticulously they oversaw the experiments and collection of samples. 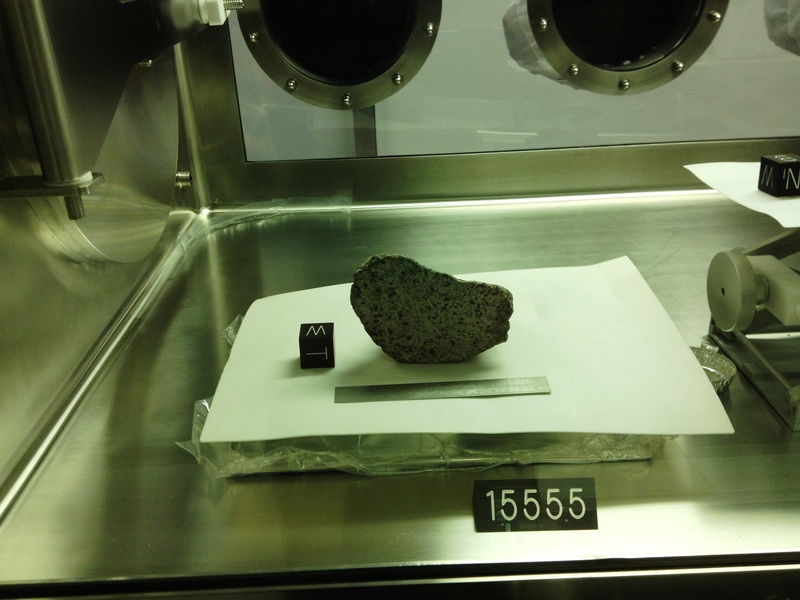 They brought back to earth 48.5 pounds of moon rocks. Each of the fifty United States received a sample. The presentation included a commemorative state flag that went to the moon. A small sample of rock pieces were attached to the display. These rocks were encased in a marble-sized acrylic ball. They were tiny but their unique origin made the presentation special. Most states have their presentation safely secured in a museum for the public to see. 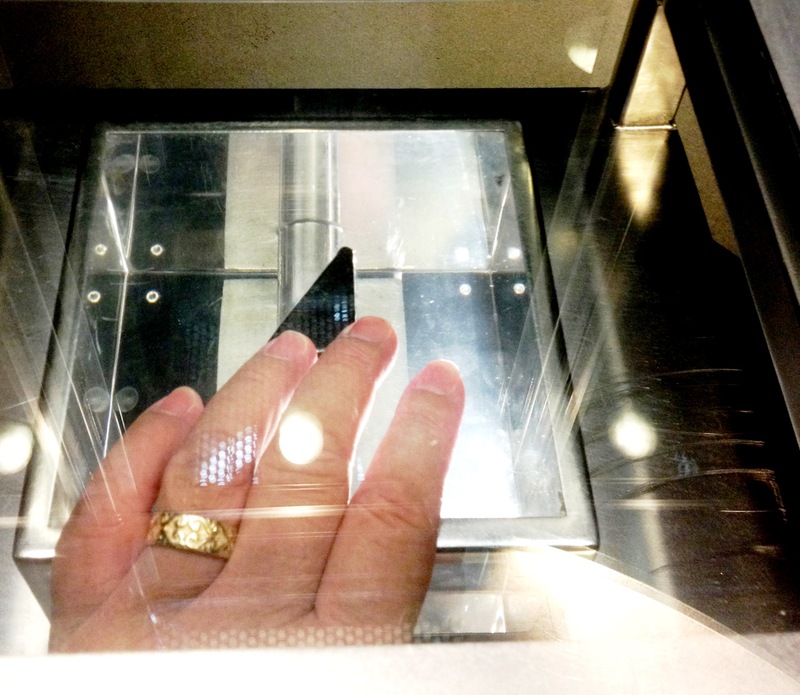 In Houston at the NASA center a special display has a moon rock for the public to touch. It is about an inch and a half long. The display has the rock glued to a large acrylic display stand. Visitors can reach through the display and literally touch the stone. My first two visits to the center were crowded with masses of people. This time I not only saw the rock I also got near the stone. I touched it. 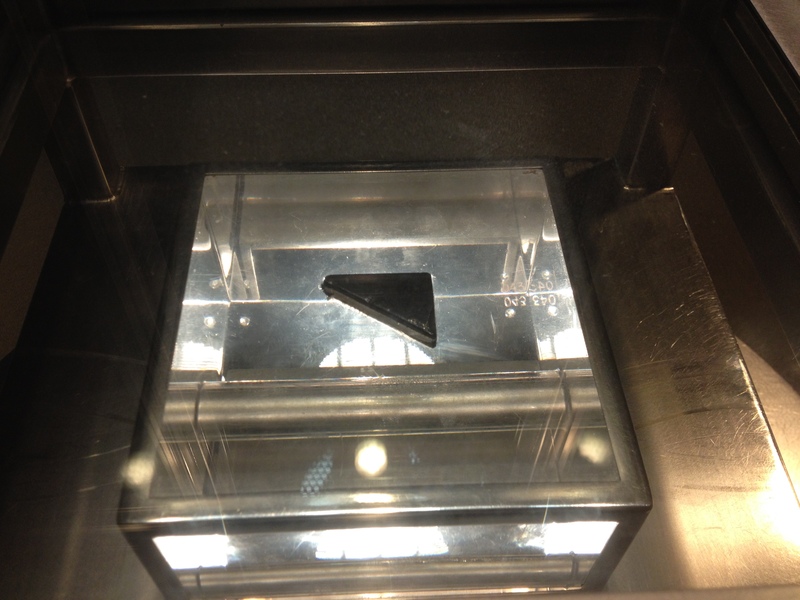 The moon rock had been christened with a Fongster touch. My visit to this remarkable place was not brand new. I had been here once in the past. A year ago during the opening month, I was here with the pressing crowds. This time the visit was much more enjoyable. The lines had shrunk to our scheduled window printed on our tickets. 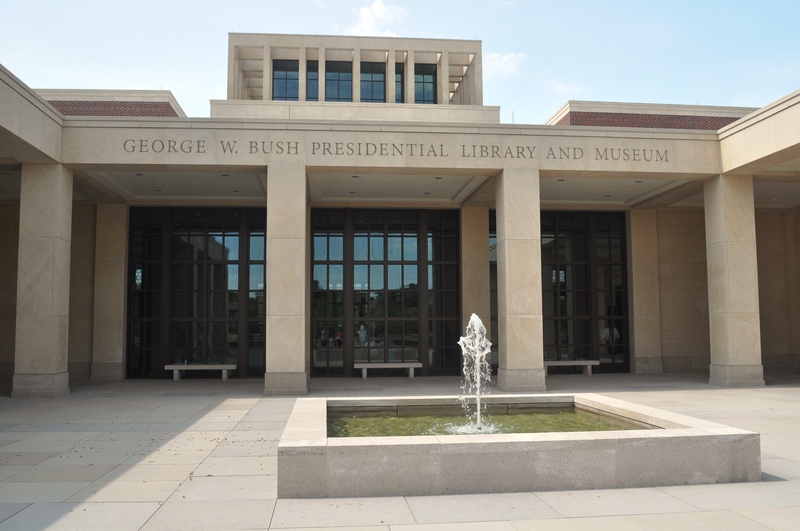 We wanted to catch a look at the additional wing of the George Bush Presidential Library. On our first visit the crowds had packed the museum. We skipped the Oval Office wing due to the very long lines. This time we got to the museum close to the opening hour. We skipped the opening sequence of pictures and videos. 43 traces his entry into the White House. He shares the events that shaped his Presidency. The next stop was the initial years leading the nation. Laura’s focus on literacy and George’s past with baseball was fun. We lingered here again as we did during our first trip. When we rounded the corner determined to visit what we missed a year ago, our swift walk slowed to an eventual halt. In the center of the display were some of the twisted I-beams retrieved from the rubble of the Twin Towers destroyed during the 9-11 attack on our country. Pictures, videos and audio presentations swirled the deep feelings from that horrible day. The words of President George Bush defined so much of his leadership and one our nation’s rare moments of unity. Together we drew together as a nation. Politics were quieted. Yes, the haranguing between Washington D.C. professional biased parties drummed the cadence of a nation that would stand together against an external threat. Our nation even gathered for prayer and services that called on the name of God. Hymns were sung. Evil people who launched a wicked lethal attack against innocent civilians had polluted the soil of our nation with their dastardly plans. Terror had taken advantage of a free nation and free people. There was no bravery or chivalry by these who stole, plotted and murdered. My eyes scanned these old pieces of twisted steel. I listened to President Bush speak to our nation and the world. He spoke on our behalf and promised to do his duty to bring all of our nation’s strength to bear against the cowards who unleashed an ugly cowardly act of war on our country. Always remember. This picture of steel will be in my mind forever. My spirit is stirred. 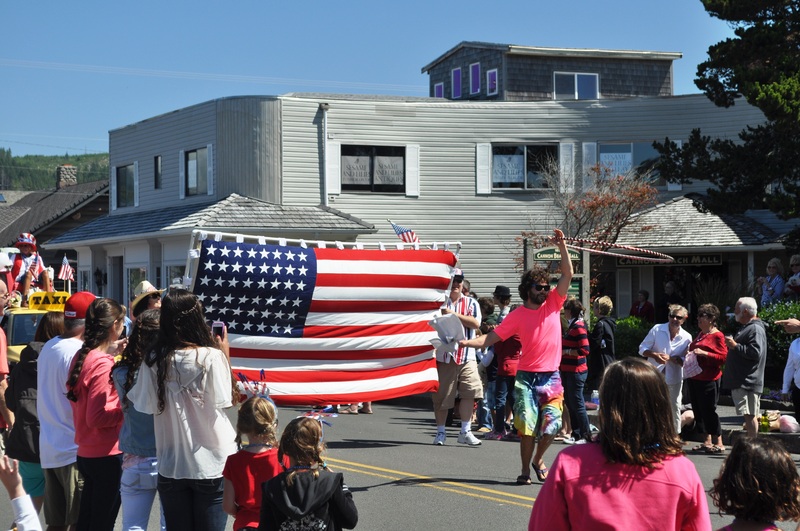 Today Old Glory takes center stage. She is ready and fills her role with vigor. As a symbol of sacrifice for freedom, stanchion for liberty and beacon of hope these flags will flutter throughout our country and call all of us citizens to celebrate what we all enjoy today. This is a good celebration. It is a needed recognition. During this special day the elements of a divided people quiet down and what we share in common rises to the level of attention. Each of us is reminded of why we can share great cheer. July 4, 2014 could be a low water mark if we let it. When trouble surrounds us, danger heightens or distractions claim more notoriety than they deserve Americans can discern and decide. There is no quit, no “give up” nor any “throw in the towel” in Americana. Blessing has been imbedded in our nation’s very core. No one claims that we are better than any other people or country. However, we humbly acknowledge that we have been given great privilege. This recognition is American exceptionalism. We did not generate it ourselves. It was given to us and we are grateful. When blessing is a part of your life you do not flaunt it or insult others because of it. It is what we elevate as a fuel for our humility and generosity toward others. Furthermore, we correct those who mistakenly criticize it as arrogance. The USA has been shown great favor in its history. Great people, stunning circumstances and remarkable turn of events in history have no explanation other than the unmistakable intervention of God’s gracious and kind hand touching our country. Who would not celebrate such goodness? Our recent history has tested our great nation. Trouble in the world has hurt American families. Squabbles among those in a position to lead have discouraged many. Debt has loaded the minds of the responsible with concern. Yet, this nation has not buckled. It has not given up. Voices have not been silenced. That is why we can still celebrate today. Liberty gives allowances for those who have different ideas. Freedom means that contrast in initiatives can be explored. Our vote gives us the variation of choice. Exceptionalism shows us how strong the fabric of our people is when the breadth of pursuit is allowed to express itself. We respect the rules and laws that give others a chance. Nevertheless, the people keep speaking up. The moorings of liberty have limits. Tolerance is not acquiescence. Keep strong America. Gather your strength once more. Hold on to the treasure of blessing. God gave it. Let this gift be at the heart of keeping us strong. Life needs moments to pause from busyness and reflect. In these times of assessment reviewing what has happened brings meaning into life. God gives Israel a chance to remember the blessings under the leadership of both Moses and now Joshua. The victories that God gave to Moses on the East side of the Jordan River are rehearsed. Then, a review of Joshua’s victories is revisited. It is fascinating that Joshua’s victories are over 16 kings in the South and 15 kings in the North. In the book of Joshua there were not 31 battles recorded for us to read. These actual numbers are accurate but clearly the record of these battles was selective. Only certain ones are included in the Inspired account. These battles show that the people of Israel are becoming a nation. Every nation needs two things: a constitution and real estate. The constitution was the Law of Moses. Now, the Land that God was giving the people would be their real estate. I have been fascinated with visits to Presidential Libraries. The history and the pride for our nation are found in these special archives. They are tributes to the many lives that stood with a single man in order to give him the strength, encouragement and support to be the primary decision-maker for the greatest nation on earth. While the name of one man is engraved on the stonework at the entrance to these magnificent facilities, the faces of many family, friends and supporters are evident throughout the displays. Special moments in history are captured in the memorabilia. Modern film, computer graphics and audio clips help us relive those critical times. 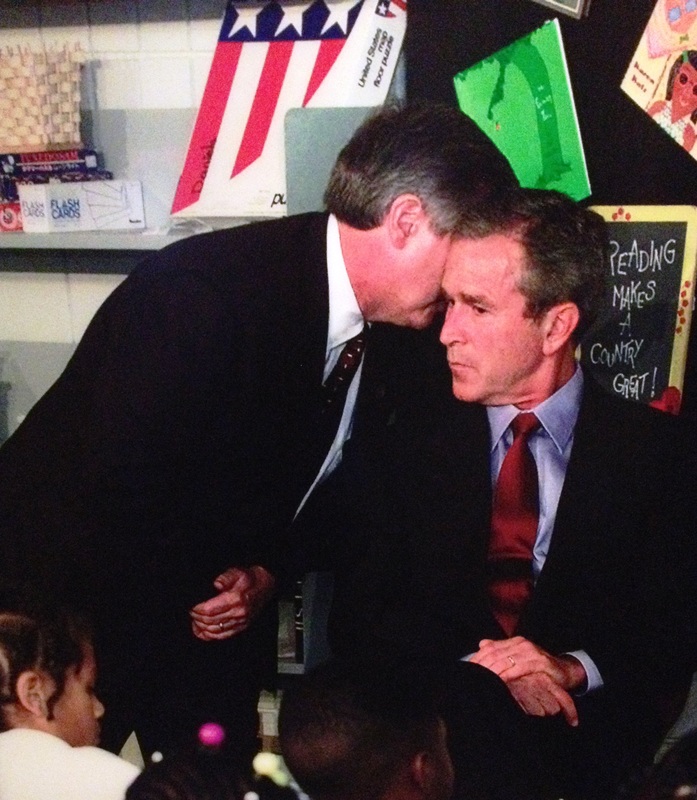 Ever since President George W. Bush wrote a personal letter back to me, I have been eager to know more about him. I watched him through two terms of leadership and how he weathered the onslaught of political criticism with grace. His faith championed his spirit as a gentleman. No one who serves in that highest office of the land wants to be a wartime president. Yet, history rarely gives that man the choice but instead imposes the circumstances of a hostile world on him. 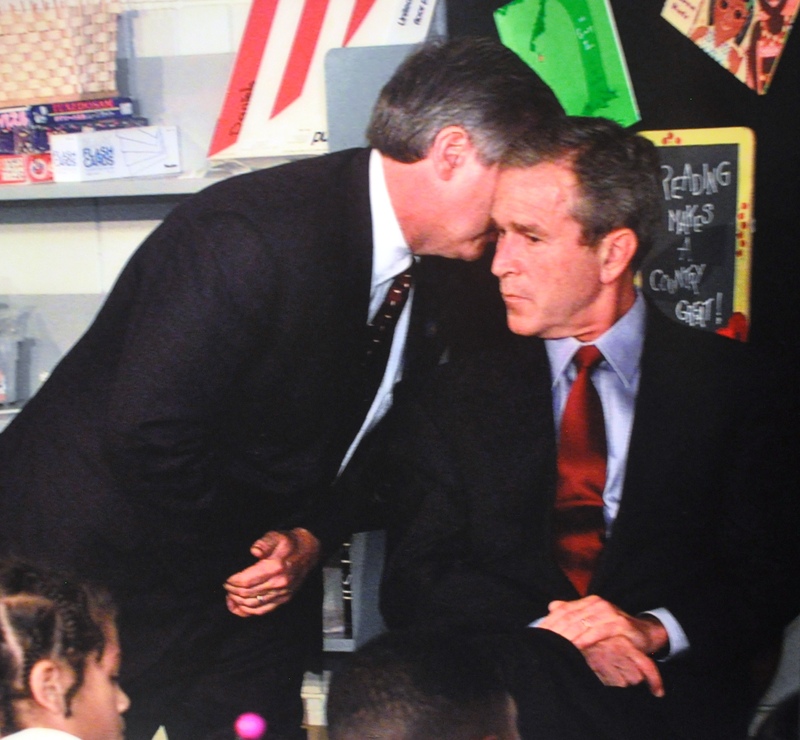 9-11 was one of those horrible events for Dubya. 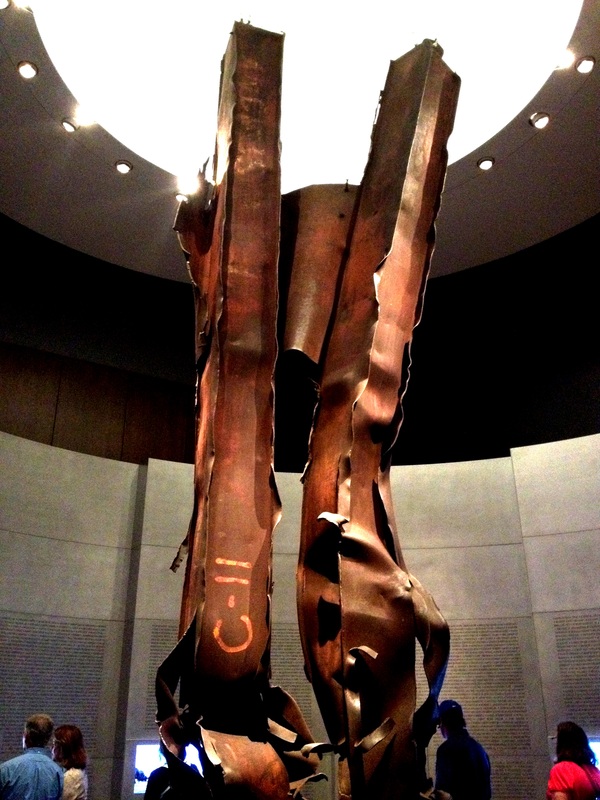 In his Library and Museum, there is a display of the twisted I-beams from the World Trade Center early on in the tour. It is a sacred moment for visitors. This location in the building gathers somber souls who relive that tragic day. Videos are on a loop for people to capture the timeline of those days. Testimonies from people who were there are stirring to the listeners. Stories of President Bush’s encouragement, leadership and direction for the nation gave us all hope, fortitude and national resolve. I was glad that he was the one that God chose to lead us through those ugly times. Openly and certainly, President Bush credits his faith in God for his greatest help as he led the nation. This was not a courtesy that he spoke of to engender favor among Americans but a real faith that gave direction to his own soul. Some aspects of Americana are deeply appreciated by the citizens of this great land, one being true faith in the One and Only True God. 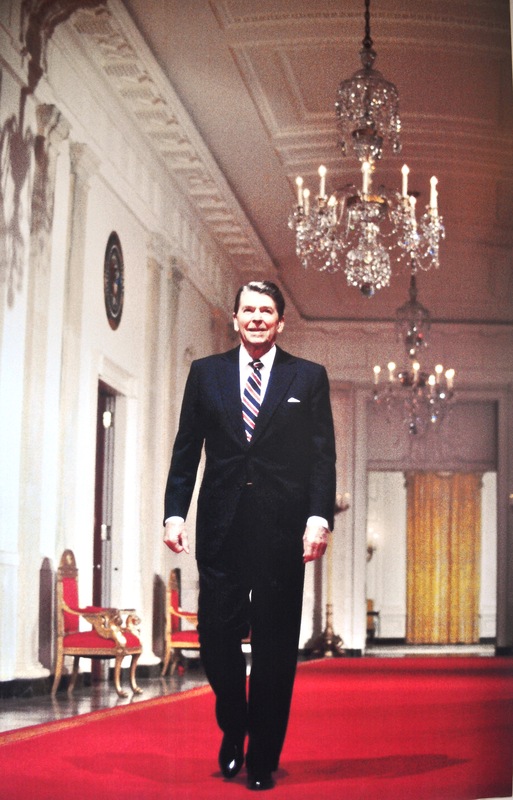 Compassion and definitive actions marked this man’s presidency. History tells the story accurately. 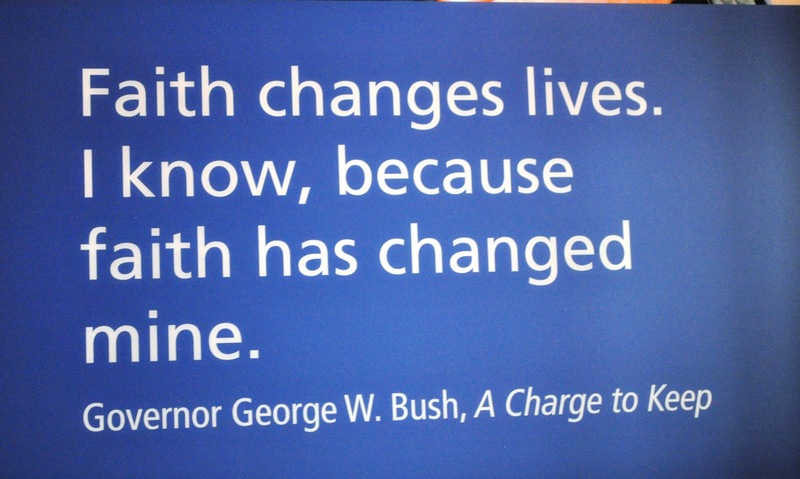 Real facts, real faith and real heart will forever be the commentary on the lives of George and Laura Bush. So many lives lost…no good reason. So many more lives lost…still no good reason. Friends all told us that the Pacific WWII Museum was a “not-to-miss” site in Fredericksburg, TX. The internet affirmed this as a top place to visit as well. At first, it seemed peculiar that this particular museum was in this Texas town. That was before I learned that Admiral Nimitz was born and lived in this very special town in the Texas Hill Country. He built the Pacific fleet that kept the Japanese Imperial Navy from invading the USA. By sheer providence and determination, the American forces were able to come back from the devastation at Pearl Harbor, mount an effective counter attack at Midway Island and change the course of the war. Every Island in the march to beat back the Japanese was a costly effort both in lives and armament. Valiant men lost their lives in this intensely strategic theater of war. Then, the Japanese resistance took on a more intense vigor when allied forces battled their way on to Japanese soil. Major Doolittle led the way with his heroic attack on the Japanese mainland with his fleet of B-25 bombers. They did not cause much actual damage but the psychological blow was incalculable. However, before American forces ever landed on the shores of Japan, they were ordered to halt their advance. An ominous page in history now turned. From the brilliant nuclear research of our nations’ best physicists and engineers, a new and horrible weapon was invented. The Manhattan Project set out to produce a bomb to end the war and they succeeded. A cataclysmic bomb was created. It was dropped on Hiroshima and Nagasaki. A single bomb evaporated tens of thousands of people in a single blast. These two bombs have so far been the only nuclear attacks made in human history. 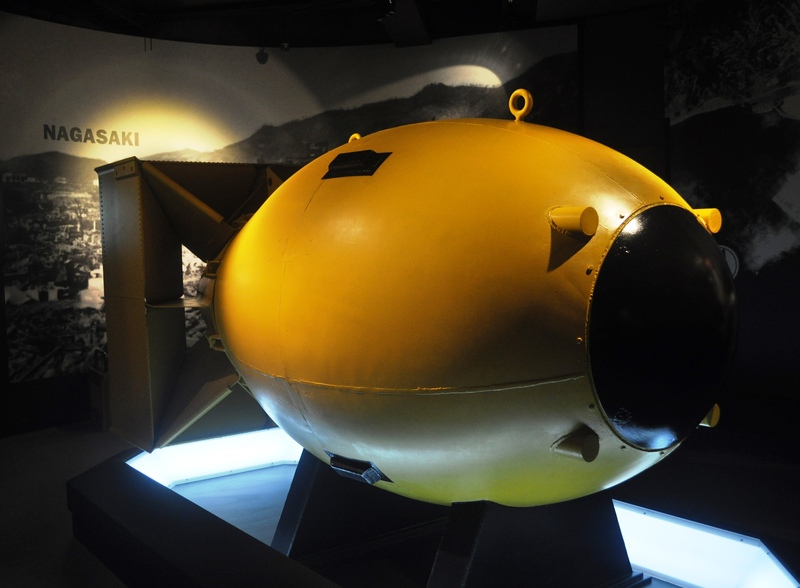 When the bomb was dropped on Hiroshima and estimated 90,000–166,000 people died. Half died in the blast and the other half died as a result of the blast in the days to come. 60,000–80,000 died in Nagasaki. The nation was rocked. All in the world was aghast at the power in this killing endeavor. 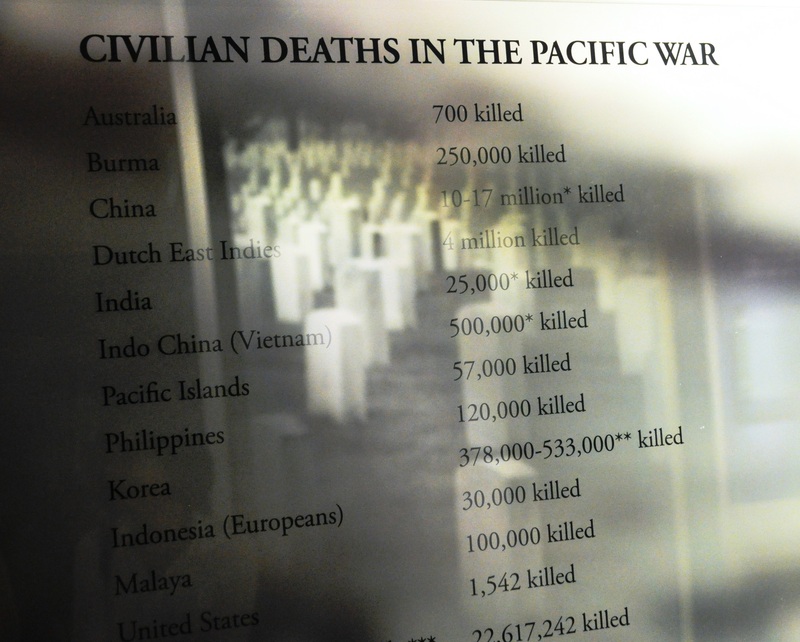 The war in the Pacific ended because of these two forays into modern warfare. Human history is forever marked by the realities of these two tactical strikes. The Emperor of Japan surrendered unconditionally. 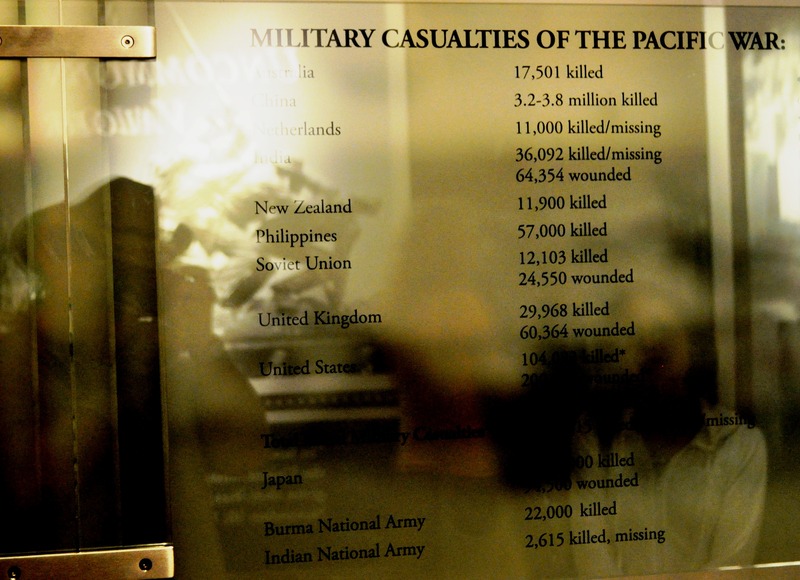 Finally, the war was over in Europe and now in the Pacific. Peace had come at such a high price in human life. May this keep us from going to war again.